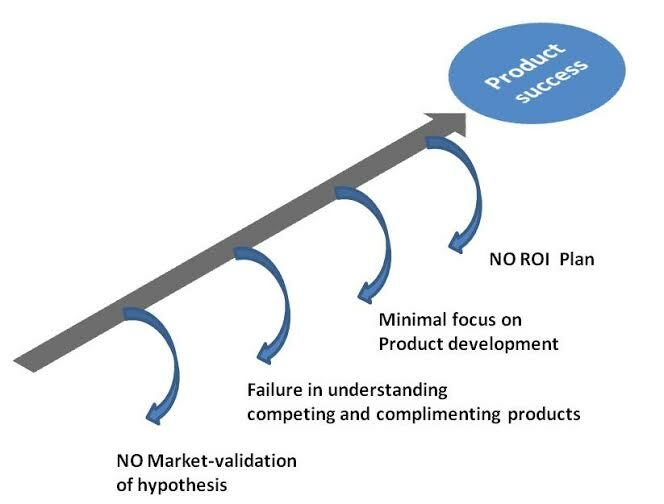 Product Managers work hard for product success but often end-up wondering what went wrong and what could they have done better to achieve the product market success. Here are four areas which I often see product managers overlooking during initial efforts of shaping ideas into a product. One or more of these often cause failures that otherwise is so manageable. Product success is not about how many things you do correct but is all about how do you ensure that you do not go wrong at any aspect. Failure is the proof of attempt and it rewards in experience but do not fall in for obvious reasons of failure as it will be an attempt wasted. It is important to learn, and more important to learn from others mistake simply because you are not going to get so many chances to fail and learn all that requires to make success. Your amazing and beautiful ideas requires more than just your hard-work and as the picture above says, focus on these four causes of product failures that derails most product success stories.